Bismarck (Gov. Burgum’s Office) – Gov. 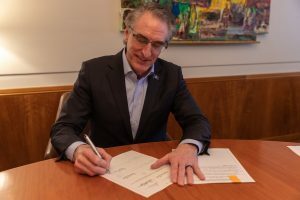 Doug Burgum has vetoed Senate Bill 2055, citing legislative overreach and an unconstitutional delegation of power to the Legislature’s Budget Section.